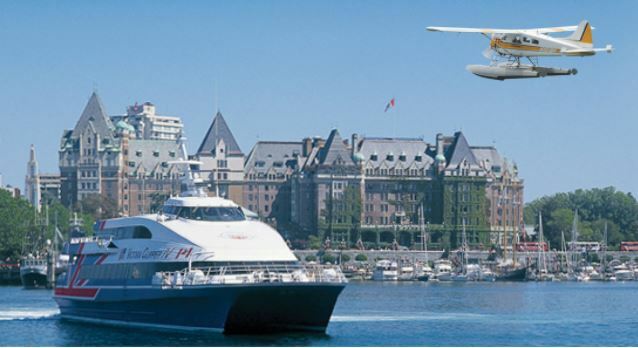 Fly one way with Kenmore Air between Seattle and Victoria, and ride the Victoria Clipper Ferry the other way. It's two great travel experiences in one great vacation! The Sea & Sky package from Kenmore Air gives you the opportunity to experience the beauty of the Pacific Northwest by seaplane and by boat. In one direction, take a 45-minute Kenmore Air scenic flight between Seattle’s Lake Union and Victoria’s Inner Harbour. In the other direction, cruise aboard the Victoria Clipper ferry between Victoria’s Inner Harbour and Seattle’s Pier 69 through the scenic Strait of Juan de Fuca in just under 3 hours. ​You can start your trip either in Seattle or Victoria using either mode of transportation, and return with the other way - the choice is yours! ​Fares start at $271 per adult. Please tell us which advanture you are interested in. If you prefer a phone call back, please leave your number and the best time to reach you. Thanks!